LONDON––Though culling predators has come to be recognized as one of the larger ecological mistakes of the Romans, the Normans, the Georgians in the 18th century, and 20th century British governments, British environment secretary Owen Paterson on February 27, 2013 announced that badgers will be culled this summer in Gloucestershire and Somerset. Paterson ordered the culling ostensibly to control bovine tuberculosis, against the advice of almost every scientist who has studied the alleged role of badgers as a reservoir for bovine TB, including Lord John Krebs, the biologist who led nine years of experimental culling, 1997-2006. “All the evidence shows that the answer to the problem of bovine TB in cattle does not lie in a cull that will be ineffective, wasteful and potentially damaging to the welfare of both farm and wild animals,” summarized Royal SPCA chief executive Gavin Grant. Originally scheduled for September and October 2012, the Gloucestershire and Somerset culls were postponed at the last minute after the House of Commons passed a non-binding resolution against culling badgers by a vote of 147-28 and the Badger Trust filed notice of intent to sue Natural England, the government agency licensing the cull participants. Charged Naturewatch campaigns manager Carolyn Barker, “The government is bowing to the National Farmers Union, which is a major funder of the [governing] Conservative Party. The Department of the Environment, Food, and Rural Affairs is simply using badgers as a convenient scapegoat, rather than implementing the fundamental changes to cattle farming that are necessary to get bovine TB under control. “In the 1970s,” Barker recalled, “bovine TB was almost eliminated through regular testing of cattle, slaughtering infected animals, and placing their herds under quarantine until further testing results were clear. 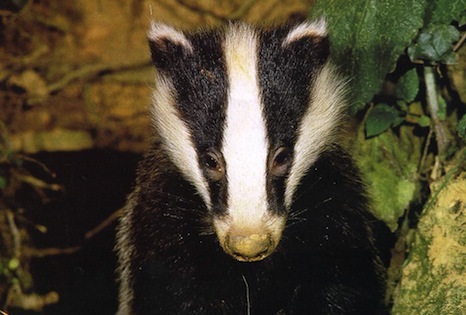 Eleven years of localized badger culling failed to reduce bovine TB any further. In the mid-1980s the annual testing of cattle ended, and during the bovine spongiform encephalopathy and foot-and-mouth crises [1996-2001] no testing was done. Many farms lost entire herds and afterward regulations were relaxed as farms restocked. Cattle were bought and sold and moved all over the country. These relaxations of the movement and testing regimes, not badgers, are to blame,” Barker said, for bovine TB resurging. Paterson announced the resumption of badger culling 40 days after Science Daily published findings from a September 2011 survey of Welsh farmers directed by Bangor University researcher Paul Cross, which found that about one in ten had killed a badger in the previous 12 months. This included 14.5% of cattle farmers, and 6.7% of sheep farmers, even though bovine TB does not infect sheep. The participation of sheep farmers in killing badgers “may suggest a background level of badger-killing for sport,” Cross suggested. In Ireland, meanwhile, the Department of Agriculture, Food & the Marine on January 18, 2013 rejected an appeal from the Irish Wildlife Trust for a suspension of culling badgers during the months when females are nursing young. Chiefly insectivores, European badgers also eat rabbits, rodents, shrews, moles, and hedgehogs––many of them also considered problematic by farmers––and seasonal fruits, grains, and windfallen nuts. European badgers have historically been persecuted as alleged henhouse raiders. Badger-baiting with dogs, popular in Britain and Ireland in the Middle Ages, has been banned in Britain since 1835. The original anti-baiting law was reinforced in 1911, and again by the Protection of Badgers Act 1992. In addition, Northern Ireland passed separate legislation protecting badgers in 1973. Yet illegal badger-baiting continues to surface. As debate over culling badgers reheated, University of Galway researcher Emma Sheehy published evidence of the ecologically destructive effects of decades of British and Irish policies that allowed pine marten to be trapped to the verge of extirpation. Like badgers, pine marten were persecuted as alleged hen house raiders. After pine marten disappeared from much of Britain and Ireland in the mid-20th century, coinciding with the rise of the prices paid for their pelts, grey squirrels proliferated, and red squirrels followed pine marten into scarcity. Native to North America, grey squirrels were introduced to Cheshire in 1876. Soon grey squirrels spread throughout Britain and Ireland. As in much of the U.S., grey squirrels and indigenous European red squirrels at first appeared to co-exist, but after about 50 years the balance visibly tipped. Though the bounty system failed, killing grey squirrels in the name of protecting red squirrels and native tree species continues to be vigorously promoted by the British and Irish agriculture ministries, and by nonprofit organizations including the European Squirrel Initiative, Songbird Survival, the Royal Forestry Society, the Countryside Landowners Association, the Forest & Timber Association, and about 2,000 British and Irish gun clubs. Sheehy in 2009-2012 studied squirrels and pine martens in the Irish midlands. Though pine martens have been protected in Ireland since 1976, they did not recover until after trapped fur prices fell in the 1990s. Recoveries of red squirrels and declines in grey squirrels after pine marten become re-established have also been observed in several parts of Scotland, but have not yet been scientifically quantified. As of 2002, Scotland was believed to have about 6,500 adult pine marten; England about 1,600; and Wales about 760. But the numbers are mainly guesswork. Though pine martens were protected in the United Kingdom by the Wildlife and Countryside Act 1981, a roadkilled carcass found in 2012 was the first actual tangible evidence of their presence since another carcass was found in 1971. The Moredun Research Institute in Penicuik, Midlothian, Scotland, is trying to develop a vaccine against squirrel pox that could be administered to red squirrels in baited doses. The project is funded by the Wildlife Ark Trust. “It will be about two more years before the vaccine is developed,” Fyall of The Scotsman reported in March 2010, “and three years of trials after that before it can be used in the wild. Meanwhile, evidence has developed that squirrel pox may not actually be the major disease threat to red squirrels. In July 2010 Vic Simpson and colleagues at the Cornwall-based Wildlife Veterinary Investigation Centre pointed out in the Veterinary Record that there are no grey squirrels on the Isle of Wight, yet lesions similar to those produced by squirrel pox were found on the remains of nine red squirrels there and two on the Isle of Jersey, also believed to have no red squirrels. Simpson et al found that the cause of the lesions and the squirrels’ fatal illnesses appeared to be an infection transmitted by the bacteria staphylococcus aureus ST49, endemic to the human nose and skin. Simpson et al hypothesized that humans may be infecting squirrels by handling food either given directly to squirrels, or scavenged by squirrels from bird feeders. The Simpson paper appeared two months after longtime animal advocate Angus MacMillan of Balloch, Dunbartonshire, suggested in a letter to the Glasgow Herald that grey squirrels may have been wrongly blamed all along for the demise of red squirrels. Deer are the British wildlife most recently nominated for intensified culling––because of the success of culls that exterminated bears and lynx in the present United Kingdom before 1,000 CE, and killed the last wolves circa 1750. University of East Anglia ecologist Paul Dolman in the March 7, 2013 edition of the Journal of Wildlife Management argued that the present United Kingdom deer population should be reduced by half. “Deer are implicated as the major cause of unfavorable conditions in woodland structure and regeneration,” Dolman summarized to Anna-Marie Lever of BBC News. Among the six deer species now inhabiting Britain, red deer and roe deer are considered native. Fallow deer, muntjac, sika, and Chinese were all introduced within the past 200 years. In absence of native deer predators, reported sightings of large exotic cats have increased since the passage of the Dangerous Wild Animals Act of 1976. The act is believed to have prompted some illegal possessors of big cats to release them into the countryside, possibly starting small feral populations of pumas or panthers. The British Big Cats Society collects more than 2,000 reported big cat sightings per year. Two unidentified big cats were reportedly photographed by a thermal imaging camera in 2009, and a puma skull was discovered in July 2005 by a Devon farmer.